The Nano SYNch is our workhorse rig. 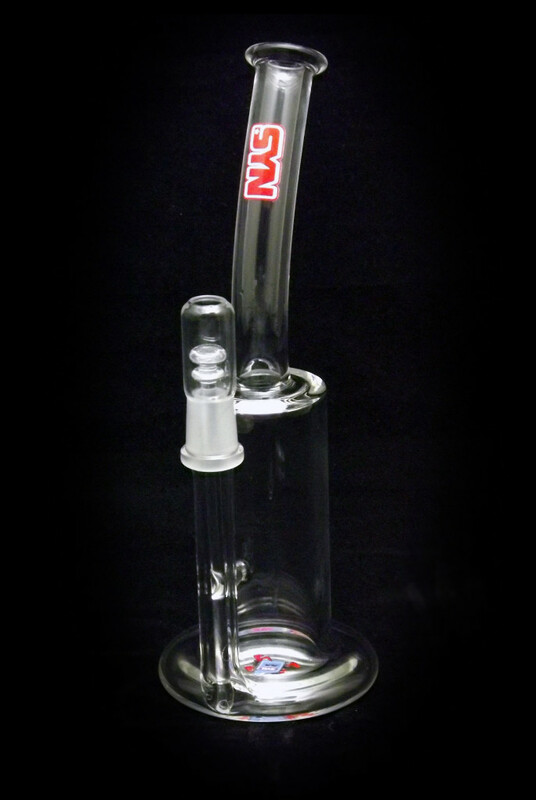 This is a natural perc tube, meaning there is no perc assembly inside the can. 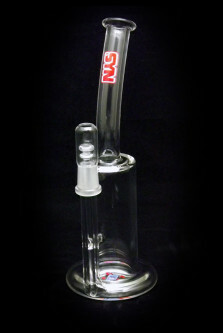 The percolation occurs from the natural bubbles pulled down the extended side joint, into a beaker bottom foot bubbler. The medium diffusion and no drag make this a very satisfying bubbler, and the lack of constructed perc inside keeps the price point way down.